South Korea’s leading game developer Netmarble confirmed Thursday it will participate in the bidding for fellow industry giant Nexon, as industry watchers forecast a tense battle potentially involving China’s largest gaming company, Tencent. “We have decided to form a consortium centered on South Korean capital and participate in the bidding,” Netmarble said in a statement. “The decision was made over concerns of the risk of damage that could be inflicted on the gaming industry along with possible weakening of competitiveness, considering Nexon’s both tangible and intangible value is one of South Korea’s key assets,” it added. Netmarble explained it made the decision to bid for NXC, the holding company that controls Nexon, a month ago after a two-month review process. The time frame indicates that it had been mulling a plan to acquire Nexon even before it was made public that Nexon founder Kim Jung-ju and his wife would put their respective 67.49 percent and 29.43 percent stakes in NXC up for sale on Jan. 4. 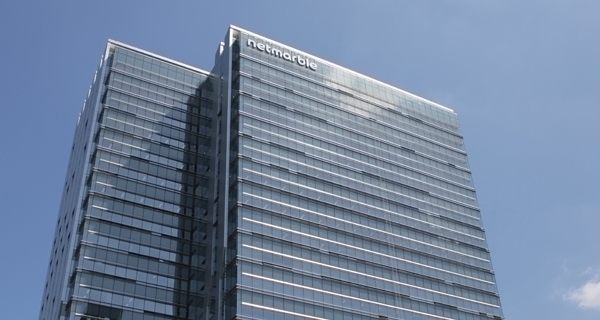 On whether it was considering joining other local firms such as Kakao in a consortium, a Netmarble spokesperson told The Korea Herald that it is still in the early stages of its decision-making process and has nothing to add to the statement released earlier. Kakao, the nation’s top chat messenger operator, has yet to confirm its part in the bid, despite saying it was reviewing such a possibility. The acquisition is estimated to cost as much as 13 trillion won ($11.6 billion), and Netmarble holds about 2.8 trillion won in cash reserves, according to a report it released in the third quarter of 2018. Deutsche Securities, supervisor of the sale of Nexon, set the date for preliminary bids for Feb. 21, meaning Netmarble will have to find suitable partners soon in order to up their chances of beating out Tencent. The Chinese firm is believed to have enough cash on hand for the acquisition. Experts say that Netmarble’s participation and possible buyout of Nexon will create synergy, considering Nexon’s portfolio of online games and Netmarble’s strong mobile presence. “(Netmarble) will be able to obtain a platform in developing new mobile games based on the various intellectual property rights that Nexon currently holds,” said Ahn Jae-min, an analyst from NH Investment & Securities. Besides Tencent, foreign mega private funds, including KKR & Co, Carlyle Group, TPG Capital and Silver Lake Group, are also reportedly eyeing to enter the bidding war.